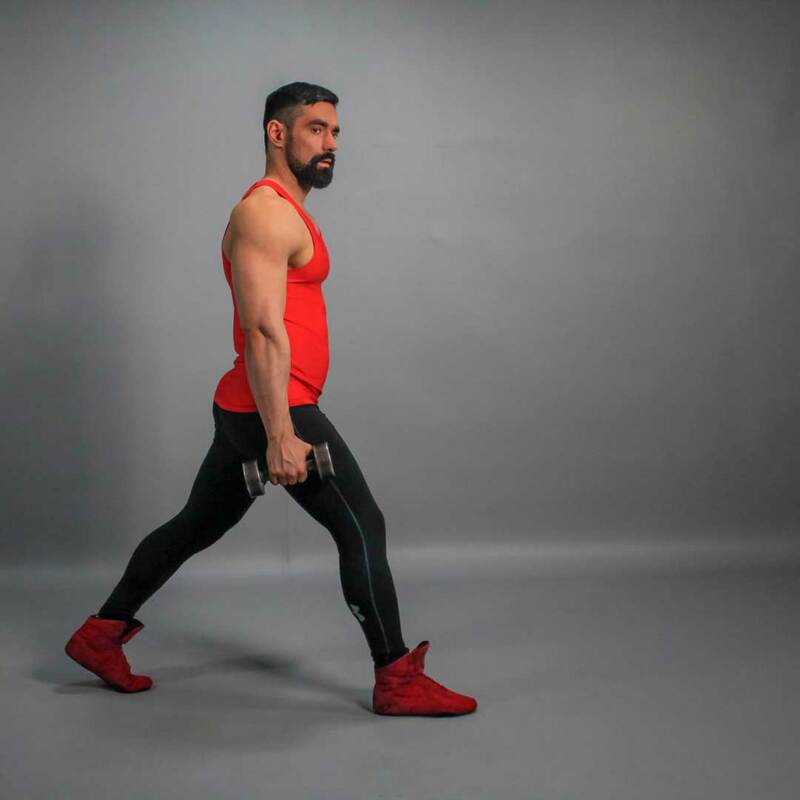 Stand straight, take a dumbbell in each hand. This will be your starting position. Step forward with your right foot, while the left one remains stationary in its place. Inhaling, lower your upper body down, while keeping the waist and back upright. Do not allow your knee of the front leg to go forward, it should be left on the same parallel with the foot. Your front shin should be perpendicular to the floor. Pushing up using your foot, go back to the starting position as you exhale. Repeat for the required amount of repetitions and then switch the legs. Precaution: This exercise requires a great deal of balance. 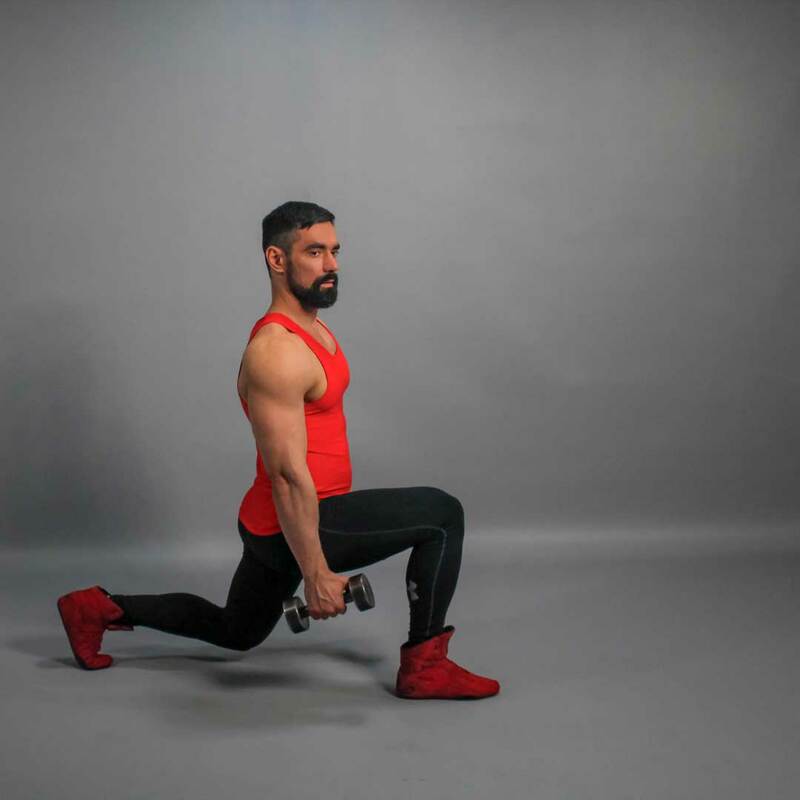 If you perform this exercise for the first time or suffer from balance problems, try to perform it without dumbbell using your own bodyweight.